Dr. House, LLC has been providing Professional Cleaning, Painting, and Handyman services in Alachua County since 2015. Anthony and Elizabeth, the Founders considered the business venture due to customer specific needs, desire to elevate their experience, and positive responses. 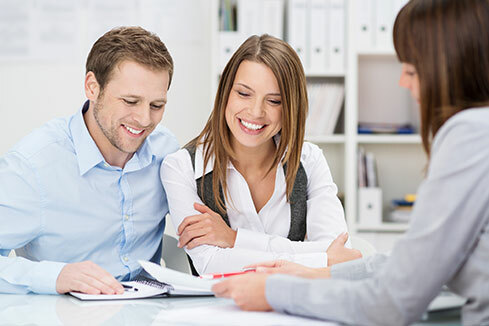 We value each and every developing relationship, enjoy assisting our customers with their respective requirements, and are committed to providing our customers with exceptional service. Dr. House is Locally Owned, Operated, and A + Rated Member of Northeast Florida and Southeast Atlantic Better Business Bureau! Dr. House Has Been Locally Owned, Operated And A + Rated Member Of Northeast Florida And Southeast Atlantic Better Business Bureau! Dr. House provides professional Cleaning, Painting, and Handyman services to residential and commercial customers. Our mission to enhance our customer experience, expectation, and valued trust. Our vision to provide professional cleaning, painting and handyman services where we convey exceptional customer service and earned value is expressed one customer at a time. Customers include homeowners residential and businesses owners throughout Alachua County. Service Areas We are currently serving local business and residential customers in Archer, Gainesville, Haile Plantation, Jonesville, Newberry, Tioga, and many others in Alachua County. July 2015 Dr. House, LLC has received Thumbtacks highly rated businesses and exceptional reviews for service and performance for 2015. September 2015 Thanks for all your support as we exceeded our goals and surpassed 100 service calls for our first six months. March 2016 We are pleased to announce Dr. House, LLC is now an accredited business by the Better Business Bureau serving Northeast Florida and Southeast Atlantic. 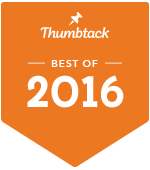 July 2016 Thanks to our customers Dr. House has been awarded Thumbtacks highly rated businesses for exceptional reviews and service performance two years in a row. August 2016 We are nearing our second year serving our clients in Alachua. We are locally owned business, Veteran owned small business focused on the needs of our customers while completing their projects, tasks, and goals. Thank you for considering Dr. House for your residential and business requirements. Dr. House is prepared to assist with your cleaning, painting, and handyman tasks at your convenience. Simply click the Get A Quote link to conveniently schedule an appointment with our friendly team members. Or simply give us a call to 352-440-3374. Dr. House, LLC is licensed, Bonded, and insured and maintain all business due diligence. Whether you are looking for recurring cleaning services, painting your home or office, or simply require assembly services be assured all staff have been completed a thorough background check, carry themselves professionally and frankly some of the best personalities that make your experience one of task completion and a sense of relief your family, pets, and home are given the highest regard. A rated Member of Northeast Florida and Southeast Atlantic Better Business Bureau! We are proud of this achievement because Dr. House, LLC. maintains best practice in accordance with the Northeast Florida and Southeast Atlantic Better Business Bureau!